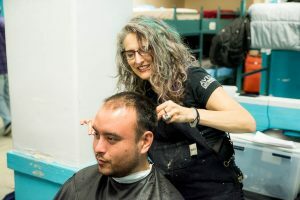 Haircuts with Heart came to our men’s shelter recently to offer hair and beard trims to the residents. All the stylists volunteered their time and talent at no cost. 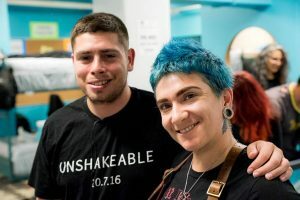 They brought snacks and gift bags with hair-care items, and most importantly, they brought a sense of caring and community to the men in the shelter. 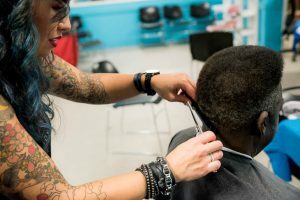 We are thankful to be partnering with an amazing organization like haircuts with heart, and look forward to working with them again soon.